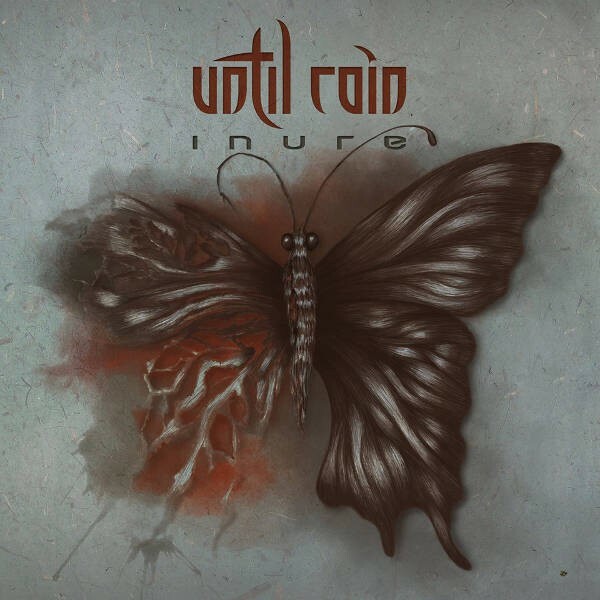 It is four years since Greek Progressive Metallers Until Rain released their excellent second album 'Anthem To Creation'. The follow-up 'Inure', according to the band, finds them exploring the bleak world of psychological/emotional abuse and entering darker territory! The band's two mainstays, Theodore Amaxopoulos (guitars) and Lef Germenlis (keyboards), are the only remaining members from '...Creation'. Opening track 'Progressus In Idem' kicks off with a ferocious riff à la Dream Theater and slows down when Cons Marg begins singing; he has previously worked with Arjen Lucassen and has a powerful melodic voice, that is until the growling begins! I'm not a fan of growlers so I was a little taken back as I was really enjoying the track up until this point and unsurprisingly it gets heavier again. 'New World Fiction' comes across like Swedish band A.C.T. and has a wonderful chorus on which backing singer Donna Zed adds some sublime vocals; Amaxopoulos provides a stunning guitar solo. 'Because Something Might Happen' is a mini epic clocking in just under ten minutes, and it features DT/Fair Warning elements – swathes of keyboards, great riffing and powerful drumming from Matthew Vella. One moment heavy, then light and hauntingly melodic, before it moves into Porcupine Tree territory; it's a great track but why oh why did they have to add more growling vocals – they're so intrusive! 'This Fear' is a slower number featuring acoustic guitars and a piano until it picks up pace. Marg gives a great vocal performance, and it continues on 'A Tearful Farewell' which (again) begins slowly with catchy ivory tinkling from Germenlis and Zed also contributes some lovely vocals once again, while Linus Abrahamson adds some fine bass lines. The song quality does not dip throughout – 'This Solitude' is typical in-your-face Prog Metal, unfortunately with the aforementioned growling, and it another that veers into PT land with mesmerising guitar and keyboards. I utterly adore 'A Broken Wing', it's another slower tune and plagiarists may point toward Pendragon, especially the two Nick Barratt-esque guitar solos, however, it is a cracking song. Title track and album closer (excluding bonus track 'Debate') 'Inure' is an epic thirteen minutes and includes all manner of styles – slow piano-led passages, crashing Heavy Metal and Proggy moments. You name it and Until Rain include it all in a magnificent and cohesive manner. I absolutely love this album and can almost (I said almost) forgive the growling!